The workforce is undergoing an extreme demographic change with an influx of Millennials and the exodus of baby boomers who are retiring. The future of talent is at a pinnacle with a new generation preparing to serve as tomorrow’s leaders. 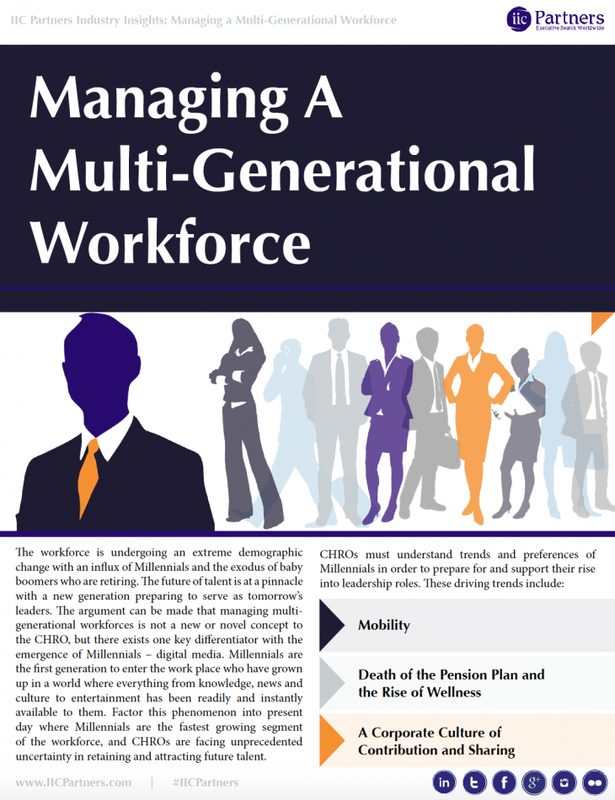 The argument can be made that managing multi-generational workforces is not a new or novel concept to the CHRO, but there exists one key differentiator with the emergence of Millennials – digital media. Millennials are the first generation to enter the work place who have grown up in a world where everything from knowledge, news and culture to entertainment has been readily and instantly available to them. Factor this phenomenon into present day where Millennials are the fastest growing segment of the workforce, and CHROs are facing unprecedented uncertainty in retaining and attracting future talent.